This trek takes us along the royal road that linked Cusco with the northern empire of Quito. Some sections of the path are still in well preserved condition. We walk through the Andes, we pass tilled lands and lakes. The highest spot of the trek is 4300m. We pass the Paredones ruins and on the last day we reach the famous Ingapirca fortress, the best Inca heritage in Ecuador. Walking on an old Inca Road. 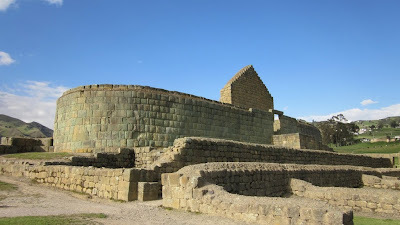 Inca ruins (Paradones and Incapirca). Walking hours: 5-7 per day. Suggested period: March to December. Although this is a moderate trek, it could be very hard if you are not properly acclimatized. Be ready to walk on trails as well as on cross-country terrain, marsh and forests. Do not expect to find well marked trails. You also need to be in a reasonable physical shape and mentally prepared for it.